Flexible, reliable, high-quality fully managed web hosting. NOTE: additional domains are only available on a yearly subscription. One-stop shopping: personalized and fully managed web hosting solution, from domain to website to email. All Canadian: all primary hosting infrastructure and services are located in Canada. * Submit a support ticket for your hosting subscription to inquire about additional services related to your hosting account. 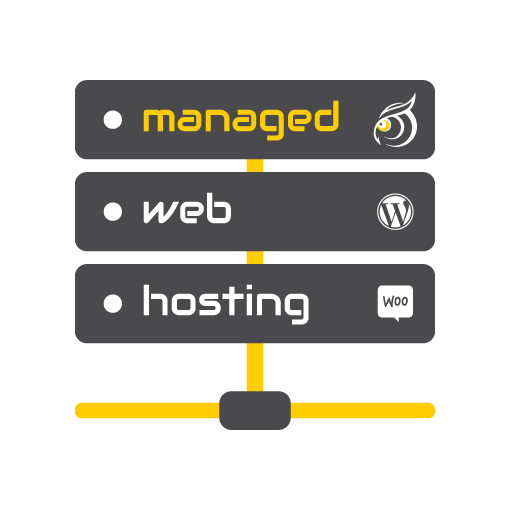 Check availability of new domains to use for your managed hosting order below. We recommend .ca domains for Canadian individuals and businesses. We will register new domains for you and will contact you for information required to transfer your existing domain(s) as needed. We prefer to manage domains we host, however all that is required is to set the nameservers for your domain to those specified in the managed web hosting documentation. If you would like to transfer your domain to our registrar, just unlock the domain for transfer, obtain the transfer auth code and send it along to us. More information on domain transfers is available here. If you would like to migrate your existing website to our hosting, just submit a support ticket after placing your order with the details of your hosting and domain accounts and we will take care of the rest! More information on website migrations is available here. Missing feature, service or configuration that you need? Require detailed technical specifications? Our hosting infrastructure is scalable, flexible and capable of a wide variety of app deployments. So feel free to inquire about special applications or any other pre-sales questions you may have about our managed hosting services.